Dental Implants: Am I too old? Dental Implants: Am I too old? There are a multitude of factors to balance when considering your options for replacing missing teeth. Along with Dr. Courey, you'll consider your immediate needs, your long term goals, the number of missing teeth, the condition of your remaining teeth, your lifestyle and diet. Although dental implants have been proven to be the best possible solution in many instances, it is a common misconception that implants are not appropriate for aging patients. Some patients may mistakenly believe that it is unwise to invest in high quality dental treatment in the later years. In fact, implants are an ideal solution for patients of any age group. 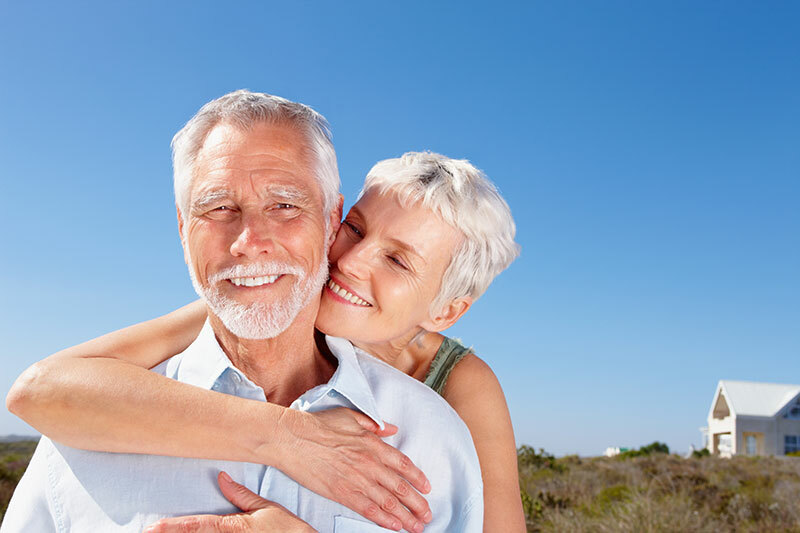 As each generation lives longer than the previous one, the longevity of the implant has proven to be a high yielding investment. With proper care and a healthy patient of any age, the dental implant can be maintained for many years. Most importantly, during the years that you enjoy your dental implants, you can feel confident that you are protecting your remaining teeth in the process. Dental implants actively retain the structure of your jawbone by eliminating the bone loss normally associated with missing teeth. They also provide much needed support for the teeth above, below, and next to the implant. This balances your bite and prevents the teeth from drifting out of position. For the back teeth, this dynamic can significantly impact your chewing and biting ability. For the front teeth, shifting and crowding can dramatically alter your smile and your confidence. The scientific and clinical evidence have proven that dental implants have become the restoration of choice when confronting tooth replacement. For healthy patients, no matter the age, implants are much more than an issue of vanity; they are an integral part of daily living. Reports show that denture wearers will avoid certain foods because of their impaired ability to chew and swallow. Oftentimes, the foods that are avoided are those which contain essential nutrients needed to fight illness. Following a primarily soft food diet can mean eating more processed foods in place of healthy alternatives such as fruits, vegetables, and meats. Due to the unhealthy diet that some denture wearers will follow, these patients may develop digestive and other systematic disorders, possibly leading to a shortened life expectancy. These problems may be avoided by choosing to replace missing teeth with dental implants. Because the teeth feel natural and are securely and permanently set in place, implant wearers can enjoy the same diet, dental function, and quality of life as people with natural teeth. Diet plays an important role in avoiding certain health complications, so by being able to eat a full range of foods, the life expectancy of an implant patient may actually be increased when compared to people who choose dentures.